Fig. 8. Left diaphragmatic rupture. a, b Axial MDCT images show the stomach within the left hemithorax, and both the stomach and spleen lying dependently on the posterior thoracic wall (arrowheads) consistent with the 'dependent viscera' sign. b Note the normal suspension on the hepatic dome away from the right posterior thoracic wall owing to the intact right hemidiaphragm formations in the evaluation of patients sustaining abdominal trauma may improve detection of diaphragmatic injury. Whenever CT is equivocal, MRI may prove helpful in further evaluation. 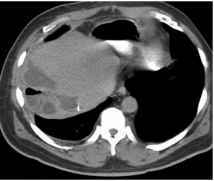 Computed tomography (CT) and magnetic resonance (MR) imaging are often the primary examinations considered when evaluating patients with a variety of abdominal and pelvic conditions. When these exams are carried out, the radiologist needs to consider the possibility of incidental irrelevant findings or normal anatomic variants, which can mimic pathology. In addition, proper interpretation depends on the quality of the imaging studies, which is dependent on a number of factors. Therefore, optimal protocol and the familiarity of the radiologist with normal variants and pseudo-tumors is essential to correctly interpret such studies. In addition, lack of clinical information such as prior abdominal surgery can contribute to misdiagnoses, leading to erroneous management. For CT, these subjects are discussed in the following three categories. To optimize routine CT examinations of the abdomen, several general principles need to be followed. These include optimization of the technical parameters of the CT scanner for a particular clinical indication, achieving optimal contrast enhancement of the targeted solid organs and surrounding structures and adequate distention of the hollow viscera. The current technology of spiral (helical) and multi-detector CT (MDCT), allow us to scan the entire abdomen and pelvis in one or two breath-holds, often without motion artifact. Thin collimation and a reconstruction interval every 5 mm generally allow adequate CT evaluation. If only axial incremental CT scanning is available, the examination is often optimized by the liberal use of thinner collimation over the area of interest. In MDCT, coronal and sagittal reconstructions will often provide additional diagnostic information and reduce errors and pitfalls. Administration of oral contrast medium is essential for CT assessment of the abdomen and pelvis. The amount of contrast medium, its density, timely administration and the proper timing of the CT study in relation to the start time of administration are essential elements for the optimal opacification of the gastrointestinal (GI) tract and a reduction in erroneous readings . 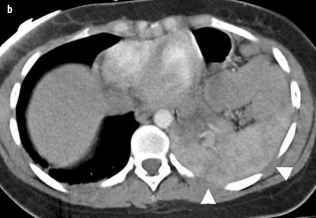 For evaluation of the pancreas or stomach, water or gas-producing granules prior to CT scanning are often helpful. 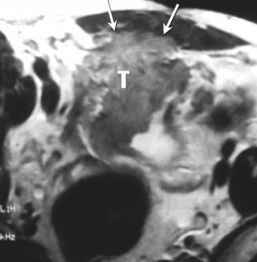 Inadequate distention or opacification of the hollow viscera can obscure a neoplasm or mimic conditions such as an abscess (Fig. 1, 2). proper assessment of solid abdominal viscera [3-5]. The wall of the hollow viscera, if well-distended, is easily evaluated by performing contrast CT during the late arterial or early portal-venous phase. For spiral CT, typically 100-120 cc of contrast is injected at a rate of 3-5 cc per second and the data is obtained during both arterial and portal-venous phases. The arterial phase is generally done at a scan delay of 25-30 seconds and reflects enhancement of the solid viscera by their respected arteries. 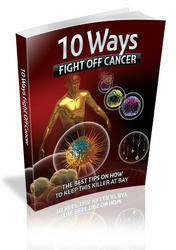 In liver, this will result in little enhancement, as the hepatic artery supplies only 25% of the liver blood. Therefore, there will be minimal enhancement of the hepatic parenchyma, and the portal and particularly hepatic veins often remain unopacified, which can be a source of diagnostic error. Conversely, hypervascular lesions, which are only seen on arterial phase, may not be appreciated if only the venous phase is obtained. Hyper-enhanced areas are occasionally encountered in arterial phase of the liver, referred to as transient hepatic attenuation difference (THAD). This pattern has been described in many conditions that have altered the balance of hepatic arterial and portal-venous blood-flow to a portion of the liver. These include arterial portal shunts, hypervascular tumors, gallbladder inflammation, hepatic congestion, systemic portal shunts, portal vein thrombosis and superior vena cava obstruction . These intrahepatic areas of attenuation difference may be anatomic and follow a lobar, segmental or subsegmental distribution, or alternatively, in cases such as hepatic congestion, the difference may not follow any obvious anatomic distribution. Such transient patterns can mimic a hypervascular tumor in the liver (Fig. 3). Rarely, THAD can persist in the portal phase and its cause may remain unidentified. The portal-venous phase of hepatic enhancement allows good detection of hypovascular liver tumors, and is usually performed using an 80 second scan delay. 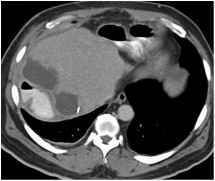 Spleen displays heterogeneous enhancement patterns during the arterial phase of contrast enhanced CT and MRI. This is related to the variable rate of blood flow to the different histologic components of the spleen. As the terminal arteries transport contrast enhanced blood into the splenic parenchyma, it is first carried into the white pulp before being discharged into the relatively larger volume of red pulp, which is comprised of splenic sinuses and cords. The patterns of heterogeneous enhancement in the spleen have been described as 'serpentine', 'cordlike', 'muddled' or 'striped'. The term 'zebra spleen' has been often applied. By less than two minutes post-injection, the normal spleen should demonstrate a homogeneous enhancing pattern.